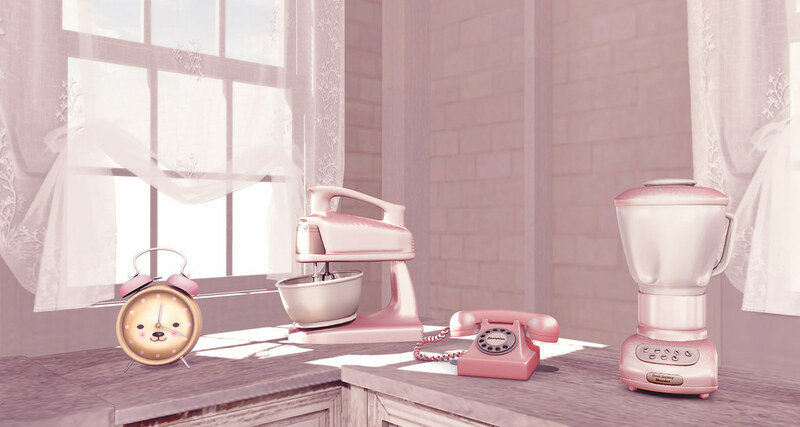 Today's post was inspired mostly by the Kitchen cabinets and kitchen appliances new releases created by Dust Bunny. Oh, all Dust Bunny appliances are color change and come with 8 color options! 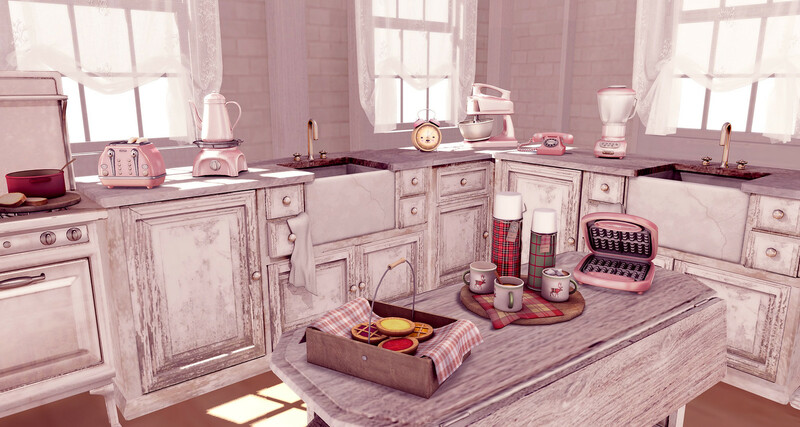 The stove and the fridge colors can't be changed. The Dust Bunny items on this post can be found at The Seasons Story event until January,31st. lançados recentemente pela loja Dust Bunny. Os itens da Dust Bunny que estão nesse post podem ser encontrados na The Seasons Story até 31 de Janeiro. It was a holiday vip group gift. Not sure if still available. Foi um presente de festas de fim do ano para o grupo vip. Não sei se ainda está disponível.